In 1919, under the instruction of Hazrat Mirza Bashiruddin Mahmud Ahmad, Khalifatul Masih IIra, Hazrat Mufti Muhammad Sadiqra was told to set course to America to establish the Ahmadiyya Jamaat within the country and begin the propagation of Islam to the Western audience. In the 1920s, New York had already proclaimed itself as “the city that never sleeps”. In every nook and corner, there was a special kind of buzz in the atmosphere. 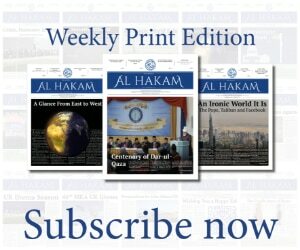 In April when Hazrat Mufti Sahibra was released from the American detention centre, knowing the reputation New York had built for itself, he decided to start the propagation of Islam from there. 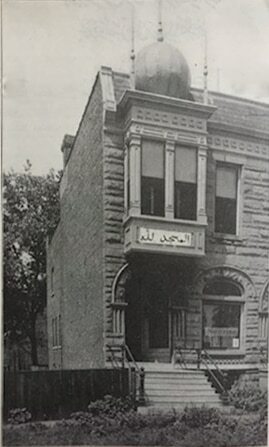 In 1922, Mufti Muhammad Sadiq Sahibra, again, moved the Ahmadiyya headquarters to the south side of Chicago at 4448 Wabash Avenue. This is a very historic date in the history of Jamaat-e-Ahmadiyya USA as the new location was established as the first Ahmadiyya mosque which served as the mission house and the official office of The Moslem Sunrise magazine (Islam in the African-American Experience). The money for this project was donated by Ahmadis in India.